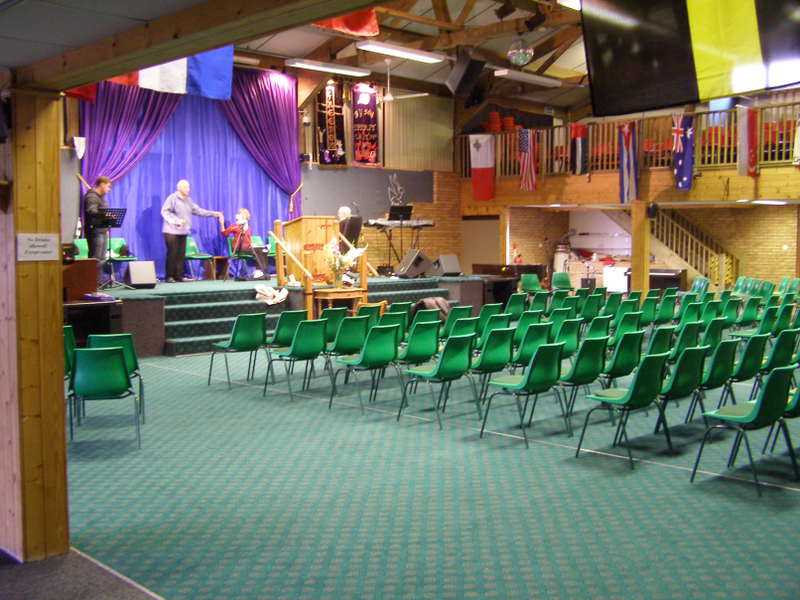 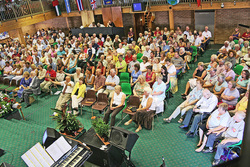 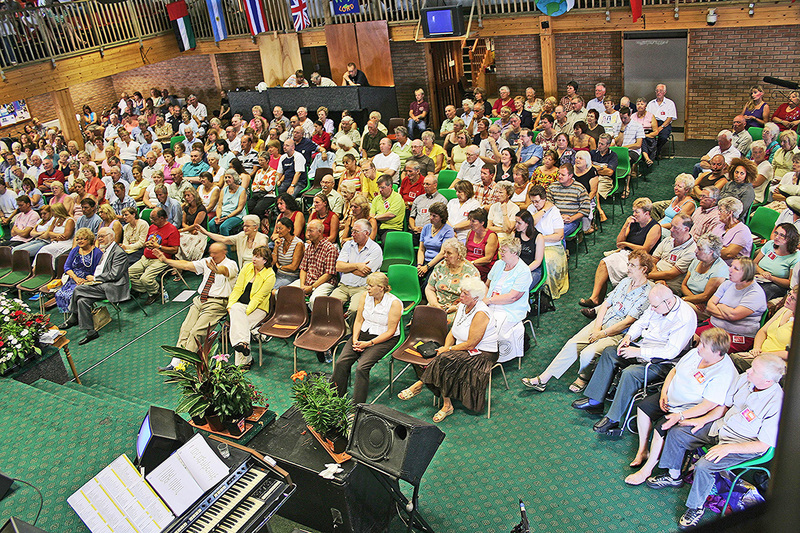 The main church building seats over 800 people. 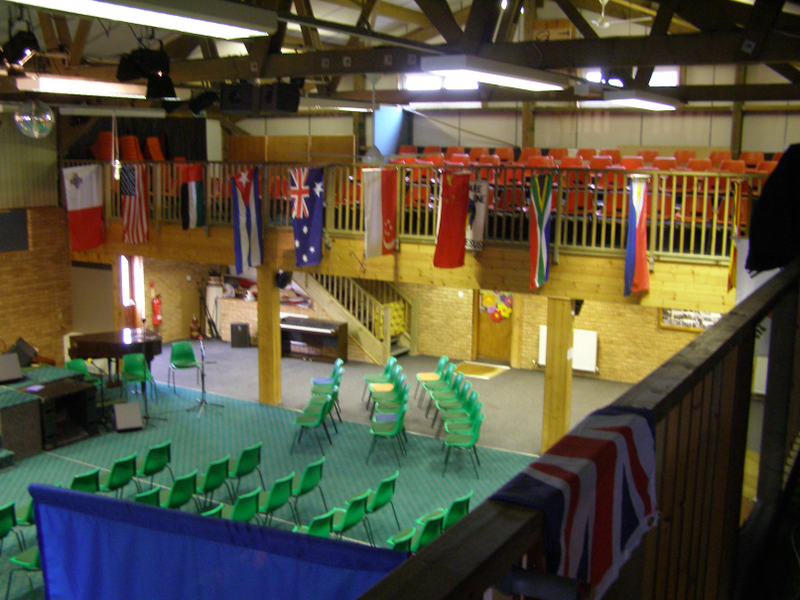 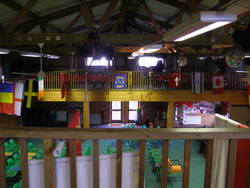 The main church building has a balcony on each side, each of which will seat around 100-150 people, and a large open ground-floor area, which will seat another 400-500 people. 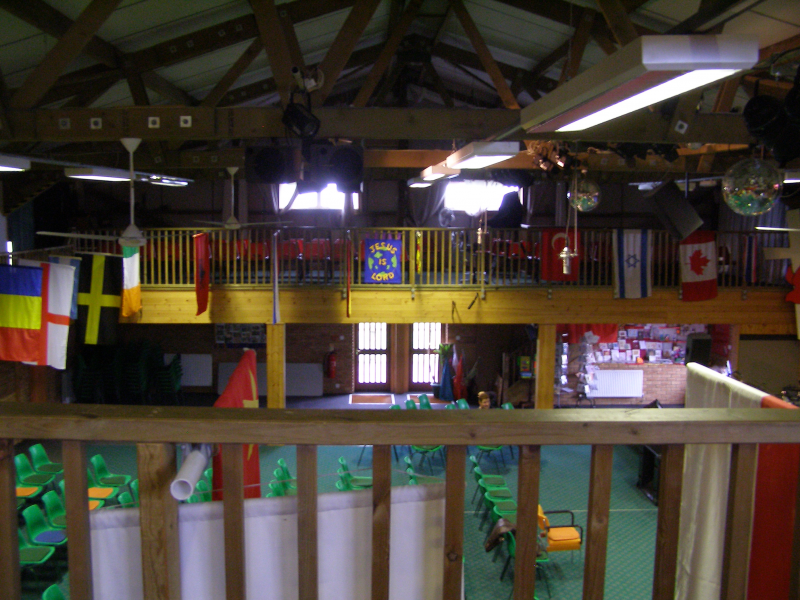 There are creche and baby changing facilities upstairs. 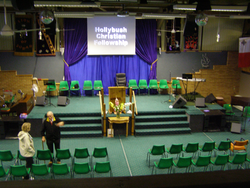 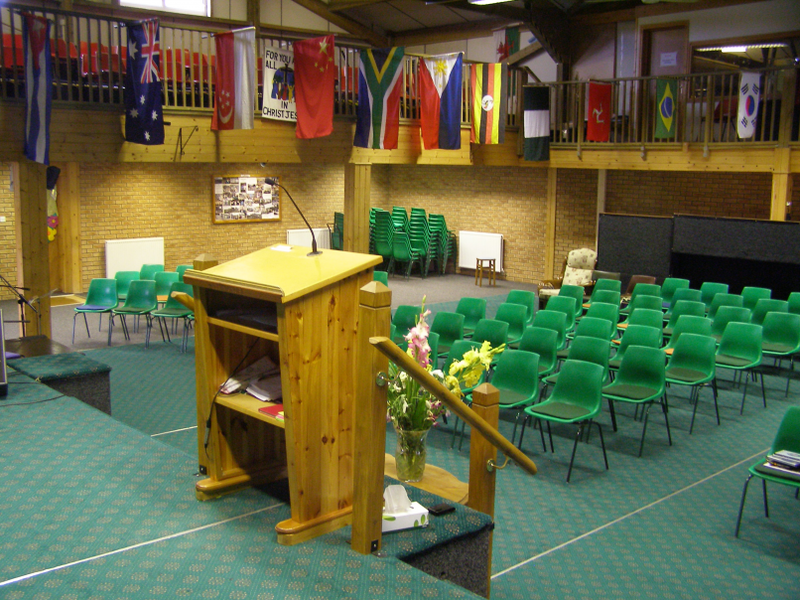 In the main building, there is an audio mixing desk and a projector desk, which can show anything from PowerPoint™ presentations from a computer to video from the main camera. 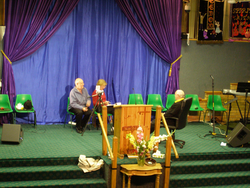 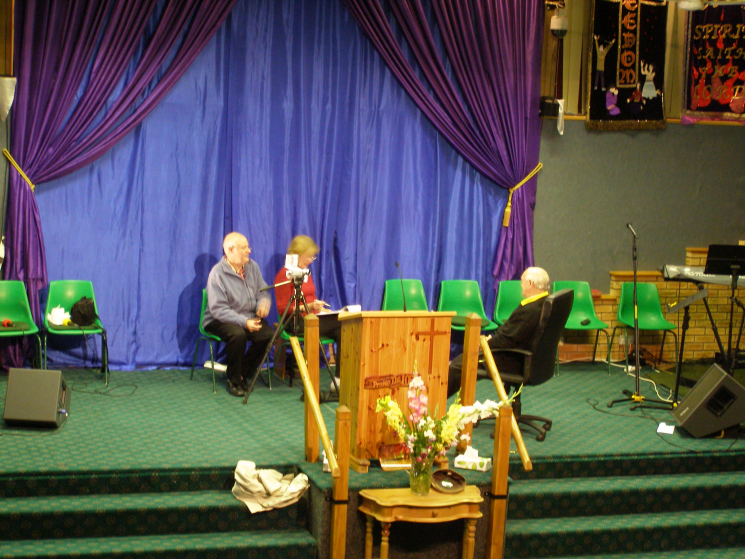 Upstairs from the back of the church, we have an audio recording room and a video production suite.